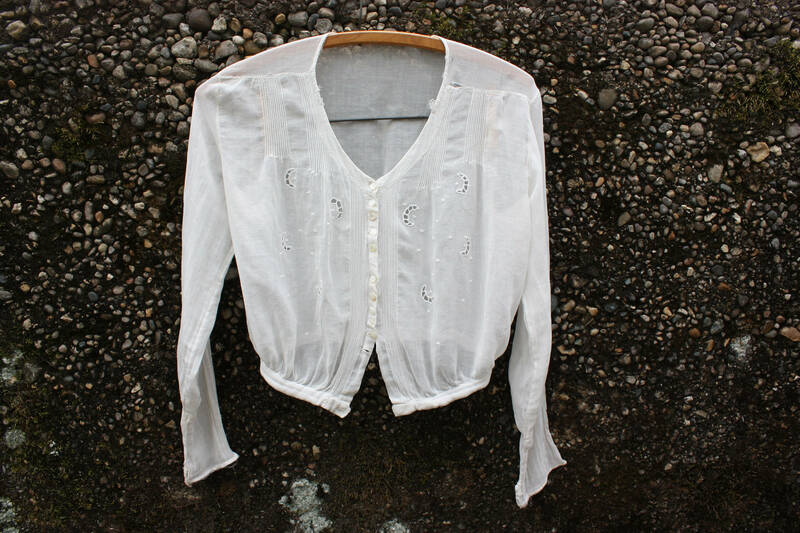 Crescent Moon Hand Sewn White Vintage Blouse. Early 1900s. 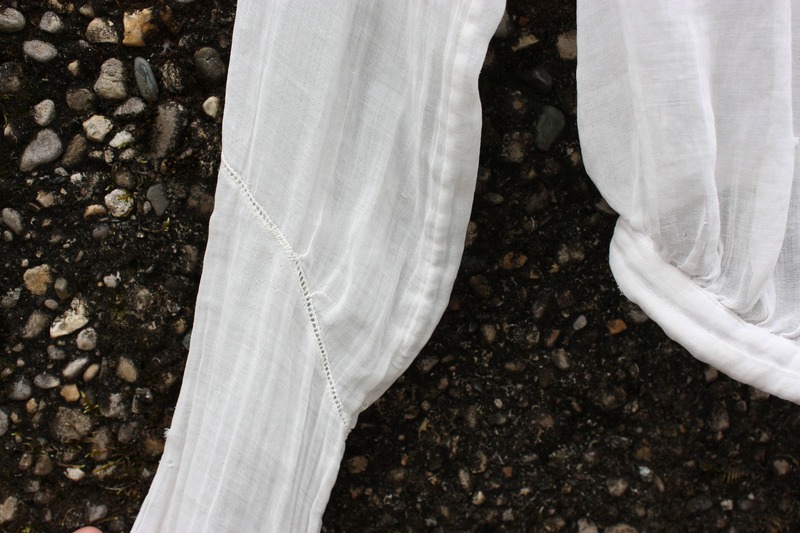 Crescents, Lines and Dots Detail on Delicate Cotton. Triangles on Small Buttons. 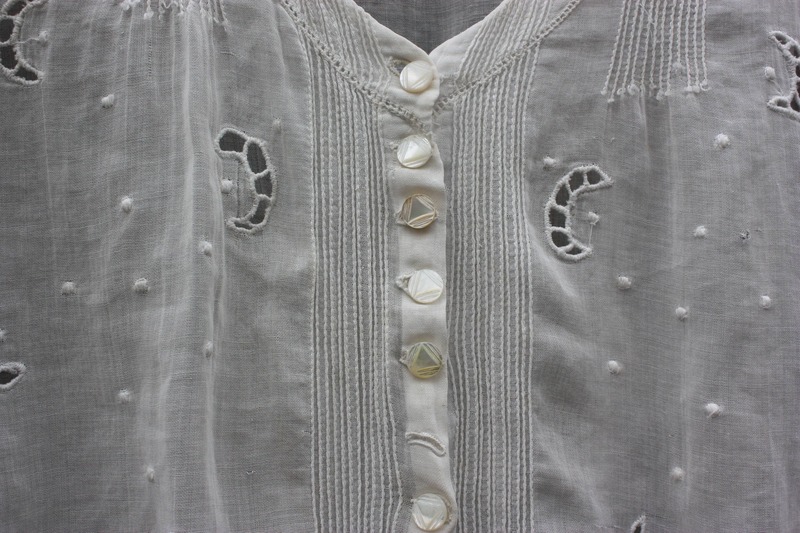 Gorgeous hand sewn white blouse with amazing fine details and embroidered crescent moons, dots and lines. 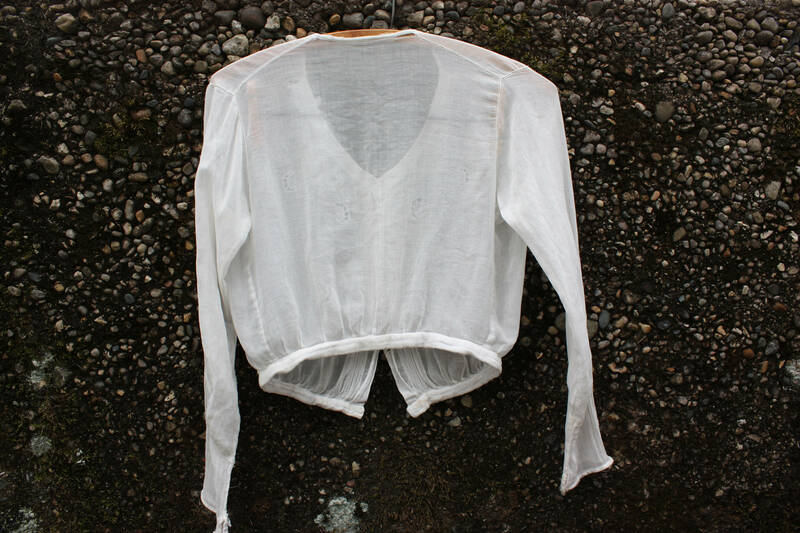 Super soft and sheer and delicate with billowy but simple look. Truly beautiful and unique piece. Triangle carved on face of mother of pearl round buttons. 13 button closure that is missing 3 buttons (2 of top 12 and the waist button), also one button is a early replacement and does not match the others. Condition: Good Vintage. In great shape considering fabric and age. Small tearing at shoulder seams and some fraying at wrists. 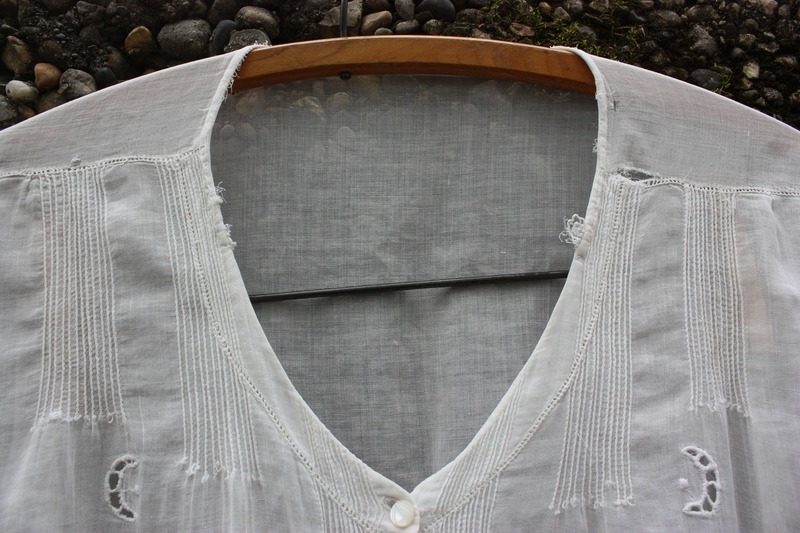 Width at Waist (to where button would be): 24"